Whether you’re looking for the perfect spot for a weekend brunch, a relaxing stop along the way of your morning walk, or a simple early morning breakfast before work, you won’t be disappointed with all that Atlanta’s historic Grant Park neighborhood has to offer. 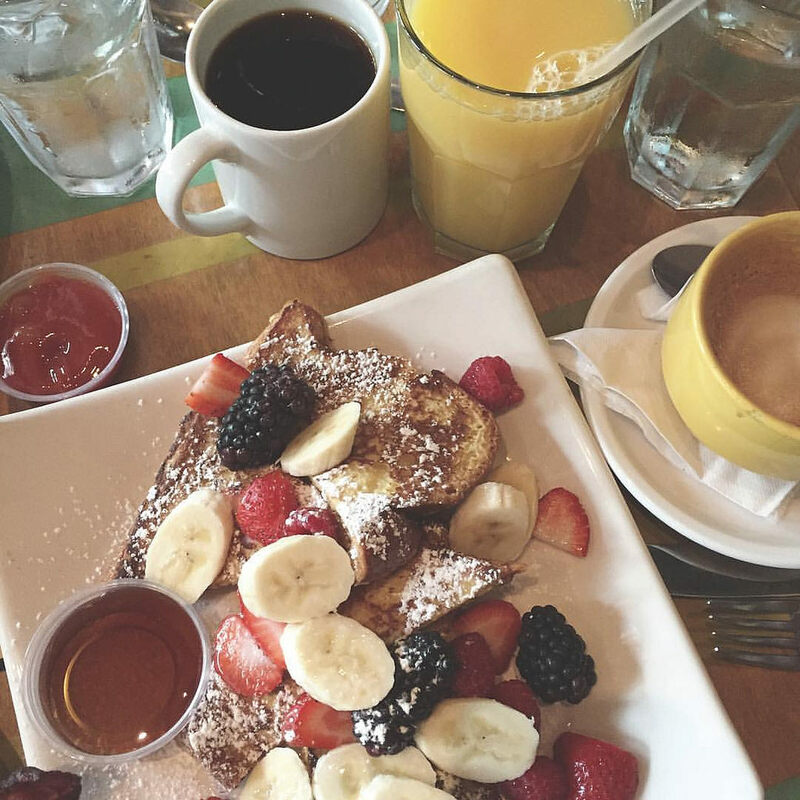 Check out our picks for the best places that offer delicious breakfasts and brunches that you’ll want to seek out when in the Grant Park neighborhood. Located directly across from Oakland Cemetery, Ria’s Bluebird is a supremely popular Atlanta breakfast and brunch spot that has been a favorite since it opened in 2000. 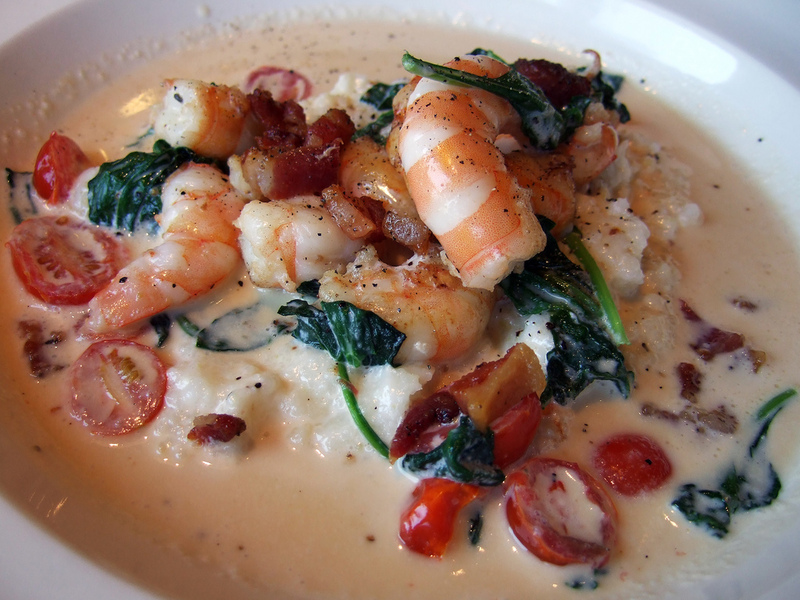 The restaurant offers Southern cuisine, with tasty comfort foods like shrimp and grits, omelettes, and frittatas, as well as interesting takes on classics like the popular Brisket Breakfast that comes in a savory tomato broth with poached eggs. Open daily from 8am-3pm, the waits at Ria’s will easily exceed one hour on weekends, and the restaurant doesn’t take reservations. Resembling a small diner, Ria’s Bluebird has a compact counter and coffee bar inside, a cozy well-lit dining room, and a spacious covered patio in the back. The restaurant’s interior is filled with bluebird-themed artwork, glass ornaments, and a gorgeous mosaic that perfectly complement the bold, colorful mural of the Ria’s Bluebird logo on the outside of the building. 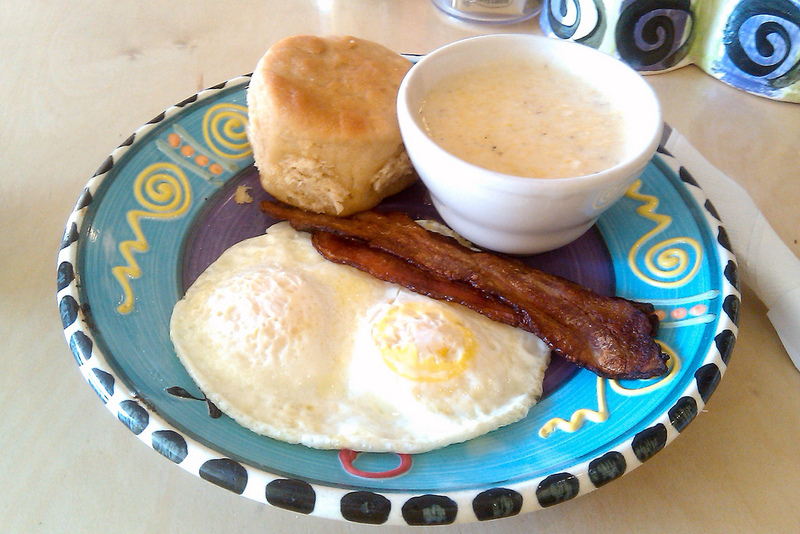 Known for its delicious food made from fresh ingredients and served by a friendly staff, Stone Soup Kitchen has been a local go-to spot for breakfast and brunch for nearly a decade. Stone Soup Kitchen’s menu includes something for everyone, whether you’re a vegetarian, vegan, or carnivore. Biscuits and gravy, vegan blueberry flapjacks, and a full bar with favorites like the Spicy Bloody Mary and the always popular Mimosa are sure to make all your friends happy. Patrons love the flavorful tofu scramble, great tempeh options, and the Huevos Rancheros with eggs, beans, salsa fresca, cheese, spicy red sauce, and sour cream all on fresh tortillas. Vegans in particular are quite fond of the place, thanks to its abundant vegan options including Vegos Rancheros, vegan grits, soy sausage, and vegan mayonnaise. The cozy neighborhood spot never has the long waits that many other brunch places in the area do, and the homey atmosphere makes it the perfect resident hangout. Dakota Blue is a convenient and affordable spot for neighborhood residents, this friendly local favorite consistently thrills its guests with its unique takes on Tex-Mex and brunch classics and its fantastic drinks. The popular bourbon banana pancakes are the perfect food to satisfy your sweet tooth, and the delicious hash browns and tater tots are considered to be some of the best in Atlanta, with their crispy and golden exteriors. A kid-friendly place with coloring books and other items to keep kids occupied, Dakota Blue is an especially popular spot for local families. Adults also love the restaurant’s brunches thanks to its tasty house margaritas and Bloody Marys. There is even a wonderful outdoor patio perfect for relaxing on warm summer days in the ample shade of the beautiful large trees along the sidewalk, where plenty of passersby make for great people-watching. Octane serves up excellent coffee, cocktails, and cuisine. From breakfast and brunch to late-night nourishment paired with their wine and cocktails, Octane focuses on exciting fare that is pleasing to the palate. The Grant Park location in particular is a favorite among the business’s loyal customers, thanks to its enormous windows letting in plenty of natural light, nicely renovated warehouse setting complete with exposed piping and brick walls, and The Little Tart Bakeshop connected to the coffee bar. 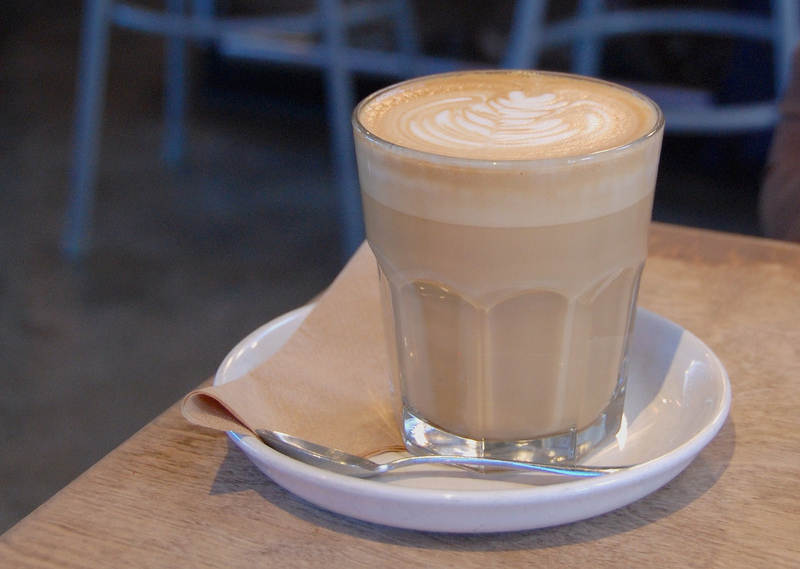 Coffee lovers from all over the country flock to this place known for its perfectly brewed drinks that complement the delicious pastries from the bakery. Tucked away in a laid-back and friendly part of town, Carroll Street Café offers rustic epicurean fare that will delight your senses in a cozy one-of-a-kind bohemian bistro. The quaint little spot, with its artsy decor and hipster vibe, is a popular breakfast and brunch place for folks in the area, thanks to its cool menu that includes delicious breakfast potatoes, Eggs Benedict, french toast with fruit, shrimp and grits, bagels and lox, waffles, and a croissant sandwich with turkey, scrambled eggs, tomato, spinach, swiss cheese, and béchamel sauce, just to name a few favorites. Patrons especially love the reasonable prices and large portions of the fantastic food. It opens earlier than most other places, so early risers don’t have to wait long for a quality breakfast in the morning. The place attracts a diverse crowd, making everyone feel welcome. They also have great coffees and teas, perfect to start your morning off right. Thumbs Up Diner is a step back in time, with a friendly modern restaurant space that is a tribute to the American diner from days gone by. Offering a funky mix of Thumbs Up Breakfast Originals and classic and build-your-own breakfast options, people from everywhere flock to the diner to get their fill of delicious food. All of their Italian sausage, turkey, and chicken are smoked in-house at Thumbs Up Diner. In addition, the orange and grapefruit juice is freshly squeezed, and the homemade multi-grain biscuits and stone ground grits, as well as the homemade jams, make visitors feel like they are eating their grandma’s Southern cooking straight from the kitchen. Located in Atlanta’s historic Old Fourth Ward, Café 458 is a social enterprise restaurant with one of the best brunches in town. This award-winning restaurant hosts Sunday brunches that are not only delicious, but also support a great cause. Their Le Cordon Bleu-trained chef serves up creative twists on Southern favorites like chicken and waffles, sweet potato pancakes, and country Eggs Benedict. The Sunday brunches are staffed entirely by volunteers, and all proceeds go to support the programs of Atlanta Center for Self Sufficiency, empowering the city’s homeless men, women, and veterans to achieve economic self-sufficiency and their potential to thrive. ACSS is a program center for homeless men and women during the week, and the café opens on Sunday to share a story of hope with the community. A popular French-inspired pastry shop, The Little Tart Bakeshop offers crème fruit quiche, local fruit galettes, croissants, scones, tarts, cookies, and much more. They believe in making everything by hand, and with the finest ingredients that can be found, much of which are sourced from local farmers, cheese mongers, butchers, and jam makers. The shop has two everyday locations, in the shared space with Octane Coffee and in Krog Street Market, in addition to booths at three different farmers markets around Atlanta. A local favorite for early morning breakfasts, neighborhood residents love to stop by for a coffee and a deliciously flaky croissant. They even offer sparkling water for free in a tap near the tables. Conveniently located just minutes from the East Side Belt-Line entrance in the Inman Park suburb, Julianna’s is a one-of-a-kind shop unlike anything else in Atlanta. Specializing in Hungarian crepes called ‘palacsinta’, Julianna’s strives to bring the best European crepes to Atlanta. People everywhere love to come to this cute and quirky place, thanks to its reasonably priced assortment of large sweet and savory crepes. Using hand-picked farm-to-table ingredients, the restaurant creates a truly unique crepe experience combining select fruits and vegetables with local meat and cheese purveyors. Soaps, organic teas, a vintage coke machine, and Hungarian snacks for sale complete the experience. In addition, the fast service and and great coffee make Julianna’s the perfect stop for a bite to eat when you’re out for your morning walk. Highland Bakery offers a full menu that stretches comfortably from Crab Cake Benedict to ricotta pancakes to cornbread Panzanella salad, and the bakery produces an abundant array of goods from cookies to radical pastries to highly decorative cakes. Highland mills their own chemical-free grains, turning them into everything from rosemary garlic bread to cinnamon rolls. Known especially for its amazing sweet potato pancakes, Highland Bakery is a popular neighborhood breakfast spot among folks who love Southern comfort classics as well as interesting twists on favorites.